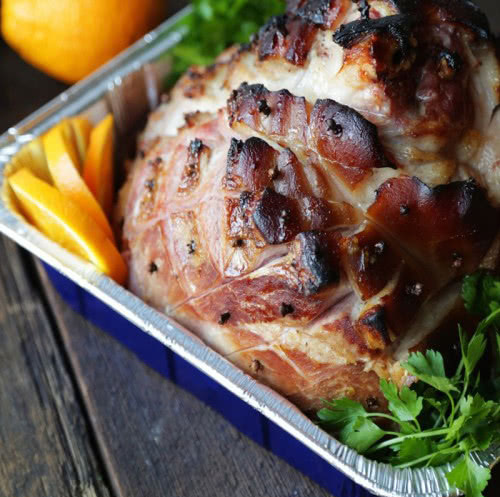 This Orange Glazed Ham recipe is perfect for Easter or any large family-gathering. Bake it with one of our Bakeware Roaster Pans to spend more time with your family, it will be a nice time. honey and cinnamon in a medium-sized pot until combined. Place the ham skin side up on a Reynolds? Bakeware 10-Pound Roaster Pan. for non-stick serving and hassle-free cleanup. Like Disposable Foil Tray 3227 in Aikou System.